Design a 3-page free website. 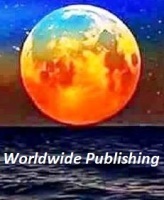 Author pays for domain and hosting. We will do our best to list and sell Author’s book on Amazon, Ebay, Barnes and Noble, and Alibris based on their terms and conditions. ​How much is this package worth to you in having your first novel published? You will not believe it! Inquire by clicking on contact us and we will contact you within 24 hours.